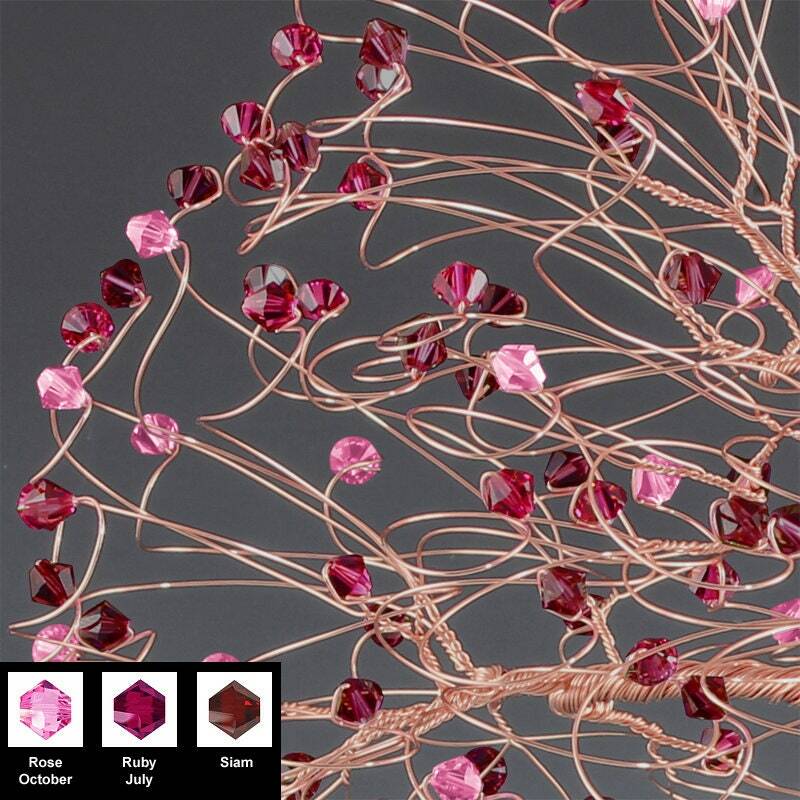 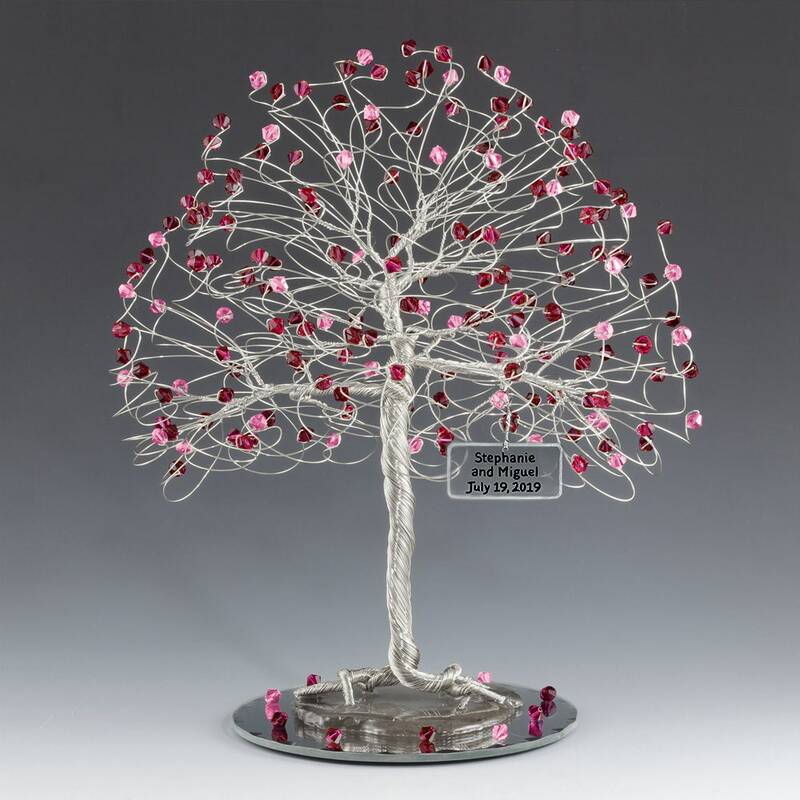 This listing is for a tree cake topper with genuine swarovski crystal elements in Rose pink, Ruby red, and Siam red. 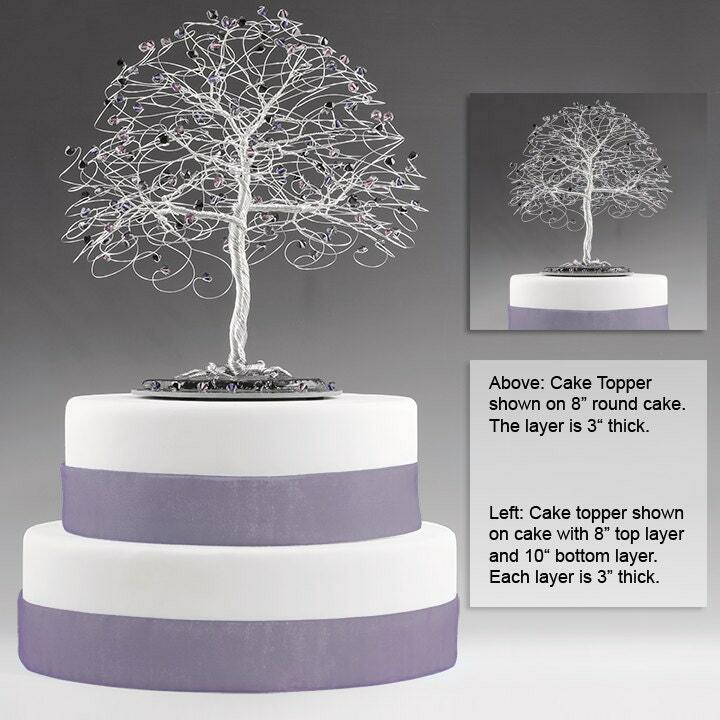 To order your tree cake topper just select your wire color and choice of personalized sign or no personalized sign from the dropdown boxes and add to cart. If you choose to have your tree personalized please enter your personalized text in the message box located in the shopping cart. You may use up to 3 lines with 18 characters per line including spaces.